AIR CONDITIONING TECHNOLOGY CENTER OF EXCELLENCE!! 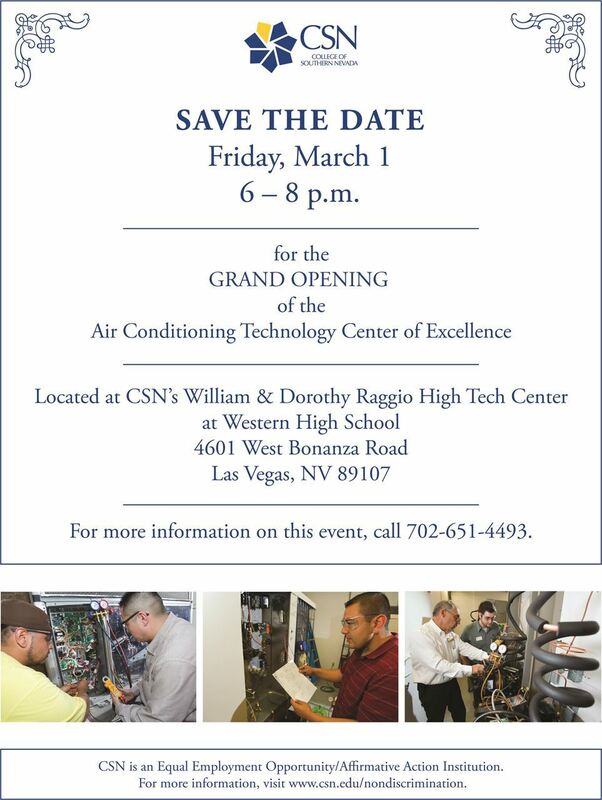 We invite you to join us for the Grand Opening on Friday, MARCH 1st from 6:00pm – 8:00pm at 4601 W. Bonanza Road, Las Vegas, NV 89107. Come and enjoy delicious BBQ, Ice Cream and tours of our Center of Excellence with 4 dedicated HVACR labs! This event precedes HVAC Excellence’s National HVACR Educators & Trainers Conference on March 3-5 in Las Vegas.